Anyone who knows me knows that I really love Leadership & Training. Getting involved in the Office of Leadership & Training my last year at Rutgers was the smartest decision I made for my professional trajectory, for my personal growth, and for my own happiness. In undergrad it made me a better student organization president, RA, and Site Leader and I am still seeing the effects of my experience with Leadership after graduation as a grad student, future teacher, and human being. So I am telling you that you really should get involved. This is me with some awesome student leaders having fun because we are involved! But, you don’t have to just take it from me. I asked 10 recent grad’s what they gained their senior year from getting involved in Leadership & Training. Here’s what they said and what YOU can get from getting involved this coming year. 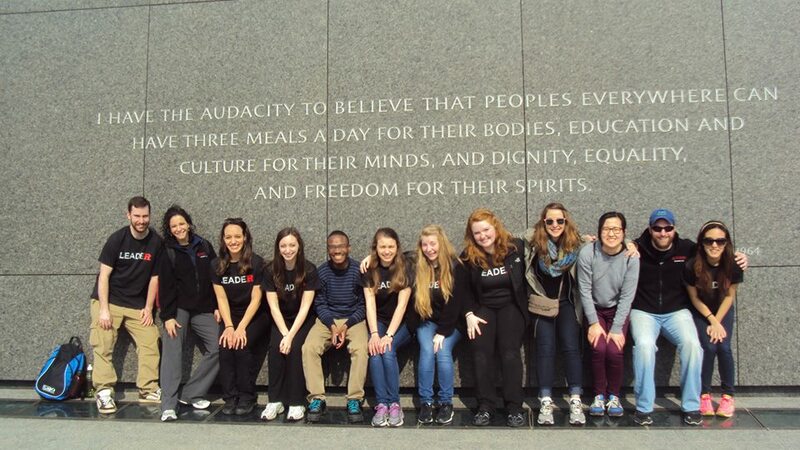 Last years Staff/Site Leaders on the Leadership Alternative Break in Washington, DC. Shawn, Jenn, Gina, Amanda, and myself all in this picture AND in this blog post talking about our love for Leadership & Training! Look how confident Luke is! 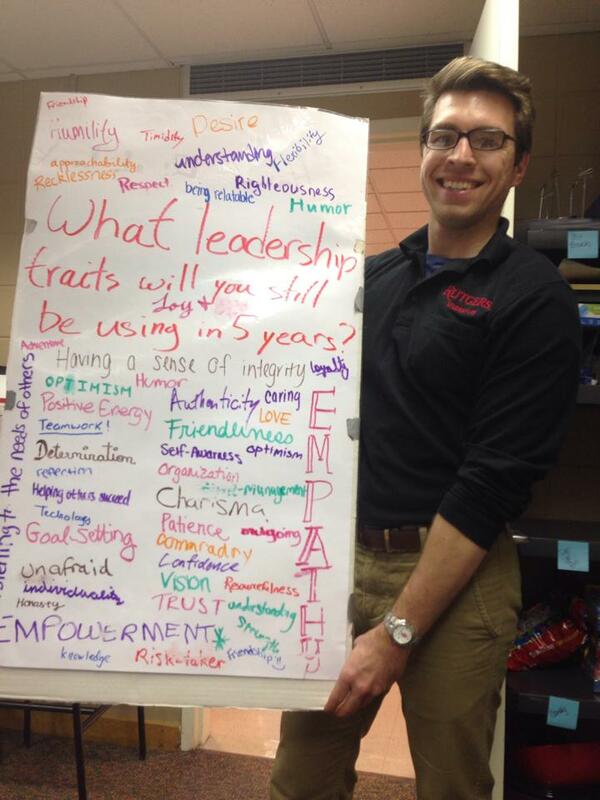 Look at all those traits you can gain and will still use in 5 years! 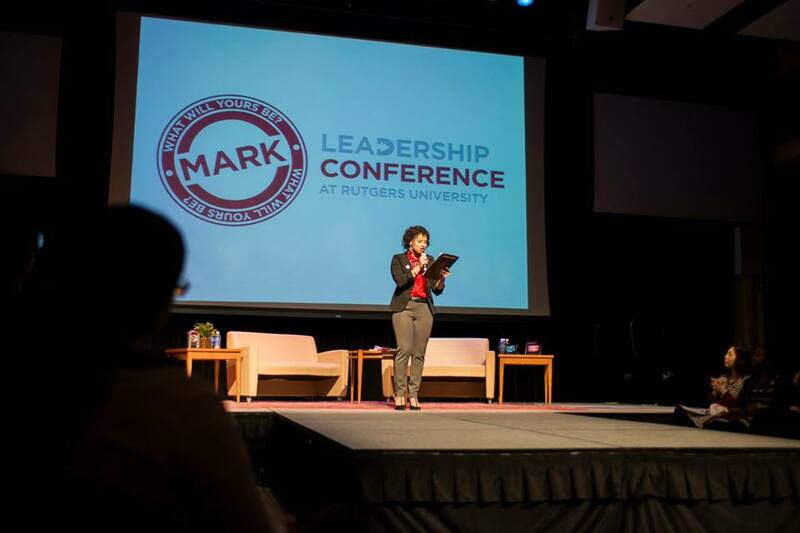 Alyea was our Mark Conference emcee from last year! If that isn’t reason enough to get involved in Leadership & Training, I don’t know what is! If you have any questions about getting involved email us at lead@echo.rutgers.edu, connect with us on Facebook, or follow us on Twitter. We want you to graduate from Rutgers as the most successful person you can be, so let us help you do that. I promise you, you won’t regret it. So what R U waiting for? Meghan King is a Master of Education candidate at the Rutgers Graduate School of Education with concentrations in Social Studies (K-12) and Urban Education. 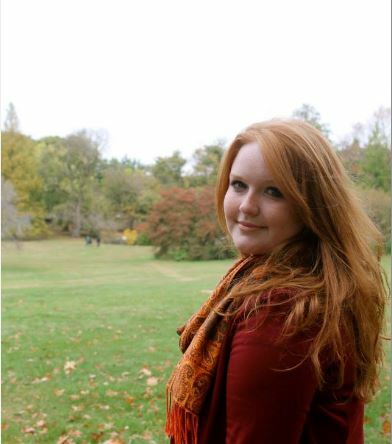 She is also the Summer Intern for the Office of Leadership & Training and the Site Coordinator for Camp UKnight. Meghan is an alumna of Rutgers University and Douglass Residential College (Class of 2014) where she double majored in History and Women’s and Gender Studies. In undergrad, she was an RA on the Cook/Douglass campus, Producer of Cabaret Theatre, and Site Leader for Alternative Breaks. Great info Meghan! I found this blog on Google and I am actually developing a blog partly dedicated to student leaders. This is really great. Would you consider being a guest blogger on my blog? You can send me an email here for more info–> odell@odellspeaks.com and no this is not spam..I’m not really sure how to prove it other than saying it. I hope to hear from you soon. Thanks for the comment! We’ll be in touch! 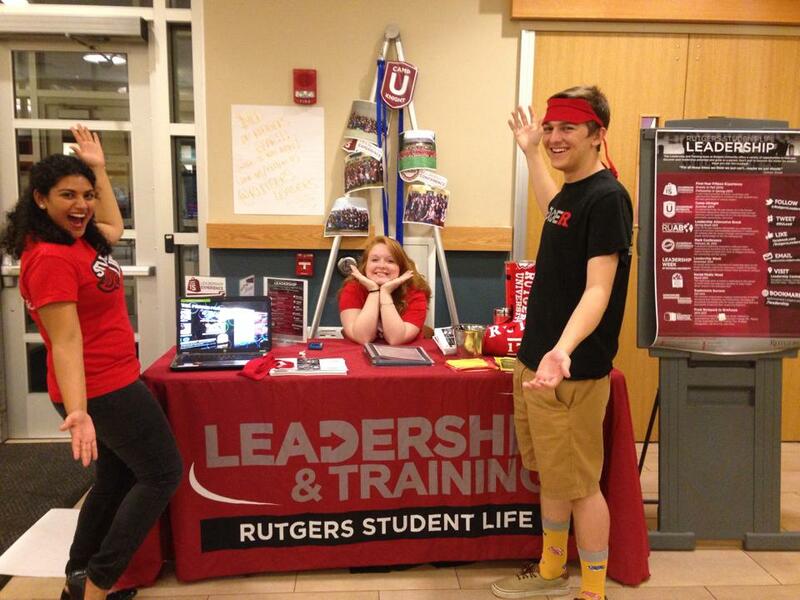 Stay connected for similar content by following RutgersLeaders on Facebook and Twitter!